Well I guess the cat is out the bag now and we better come clean. Shaun and I are all in it for the money, not for us but for the guide dog charity. 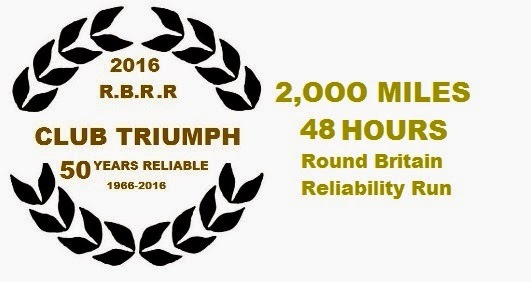 So to mark the anniversary edition of the RBRR we decided to up the ante a bit and try to be the first ones to finish in a pre-war car. 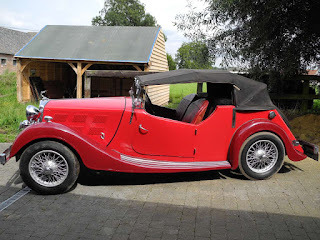 The car is a 1937 14/60 Vitesse, re-bodied from the original saloon body to an open tourer body sometime in the 80’s. As far as I can make out it had the top cut off and new side panels and doors installed. Weather protection comes from a foldaway windscreen, a canvas top and 4 side panels that are held in place by 4 pins in the top of the doors and rear. Originally bought to be used as a spares car for my other – unmodified - saloon it is in far better condition than I first thought, good enough to try the blast round Britain in it. An evolution of the older Gloria’s it was Triumph first fully in-house build car. 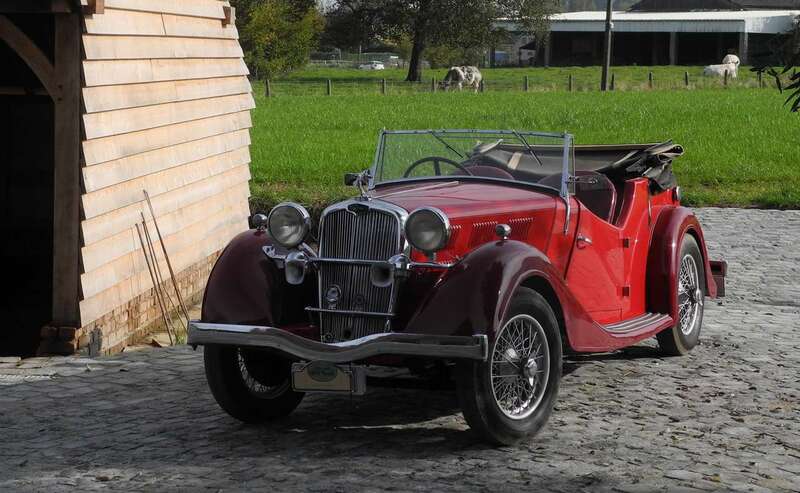 Whereas the older Gloria’s used license build Coventry-Climax engines and gearboxes made by Austin the 1936 breed of cars used Triumphs own OHC 1800cc 4 cylinder engine and gearbox. Vitesse of course is French for Speed and whereas original it denominated the sporty version of the Gloria’s in 1937 it became a model in its own right, with twin SU carbs and an uprated camshaft. Being lighter than the Dolomite fitted with the same engine it was Triumphs fastest car to date. Alternating drives between the Renown and the older saloon you cannot fail to notice the leaps of progress made during these intervening 10 years, Ride is much more comfortable in the newer car, progress is more leisure and steering is far more precise, not that any of it is up to today’s norms. 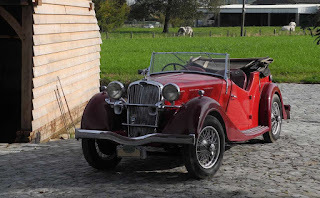 Driving the pre-war is much more “hard” work, if you are ever wondering what Bump-steer means, it’s meaning would come clear after the first stretch of rutted country road you drive. After a strenuous process of vetting possible co-drivers I am glad to announce that the co-pilot seat once more goes to Shaun, not only was he the only possible candidate, but he is also mad enough to make the attempt with me. It also helped that I made up his mind for him and just resend last runs paperwork to Tim, crossing out 2014 and replacing it with 2016. So there we are, wish us luck, mock us, pity us or wish us to hell if you prefer, but send your wager-money to Just-Giving care of the Guide dog charity with our compliments!